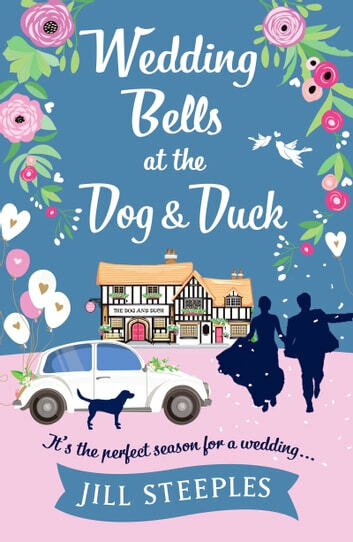 Ellie Browne, landlady of The Dog & Duck, is looking forward to a relaxing Christmas Day before the arrival of her and her partner Max's baby in the New Year. But with a snowstorm brewing outside, it seems that things might not go quite to plan. After the dramatic events of the holiday season, Ellie settles into her new life at Max's huge country mansion Braithwaite Manor, juggling work and family as best she can. When she's asked to help organise a summer wedding for one of her best friends it's only natural that her mind turns to her own, non-existent, wedding plans! 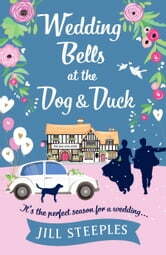 But with Max decidedly lukewarm on the subject and other family complications threatening to disrupt life further, Ellie fears there'll never be wedding bells at the Dog & Duck after all. A heartwarming story set around Christmastide in a small town, Little Leyton. The plots focuses on family relationship, romance and friendship around Little Leyton as Ellie navigates her life and help organizing one of her best friend's wedding. As I followed Ellie’s life, I can see how much loved Ellie is. She is that compassionate, caring character that you cannot help but love. And Max, the headstrong property developer and her boyfriend, has been proposing her for many times knows this and despite her refusal many times, truly love her. Like Ellie, Max is also that one male character with redeeming qualities you cannot help but cheer for. They had been in a relationship for a long time and their chemistry still sizzling. But, Ellie had been insecure and afraid that his feelings for her would not last long. While I understood Ellie’s feelings, at some point I feel so frustrated. In my opinion, the author's style for this book is of great quality for she not only able to perfectly describe the homey feeling of Little Leyton but also able to make me basked in the lovable romance, friendship and family love. I look forward to read more of this author's works. Ellie is in a dilemma with the imminent birth of her and boyfriend’s Max’s first child. Max is everything a woman could wish for, handsome, devoted, loyal and owns a manor house, but As several of their friend’s relationships don’t seem to be surviving well, Ellie has niggling doubts about Max’s wish to get married. Will a ring spoil their perfect idyll? As a snowy winter turns to spring and then summer, Ellie moves through a series of shall-I-shan’t-I scenarios until she makes up her mind. Or does she leave it too late and her wavering changes Max’s mind? A charming story of the pitfalls of human relationships and the way life, motherhood and family affect them.